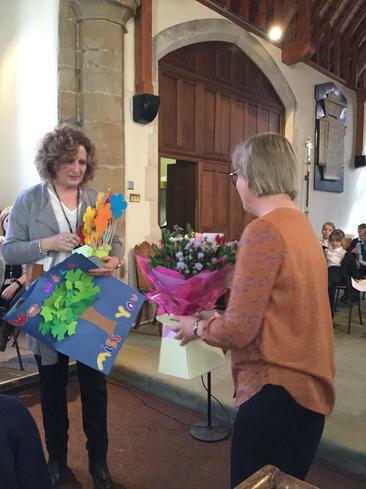 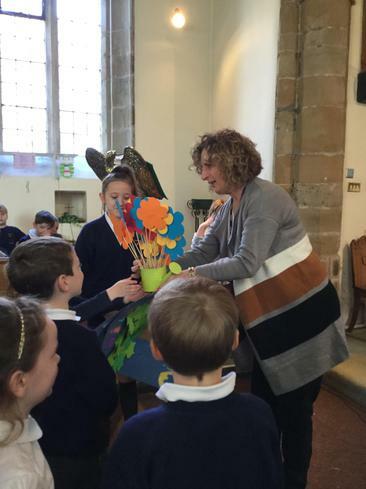 Our Easter service did end with a few tears as we also took time to say a fond farewell to Mrs Palmer who has decided that retiring sounds too much like a good idea to put off any more! 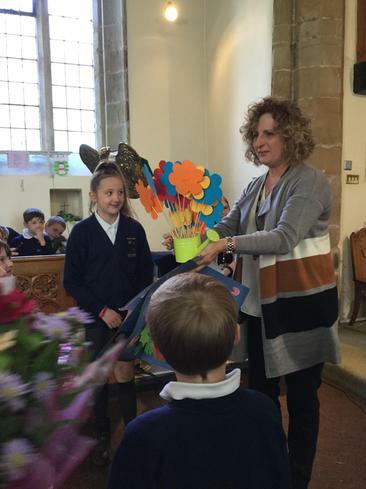 Each class presented her with a card as well as lovely messages and flowers. 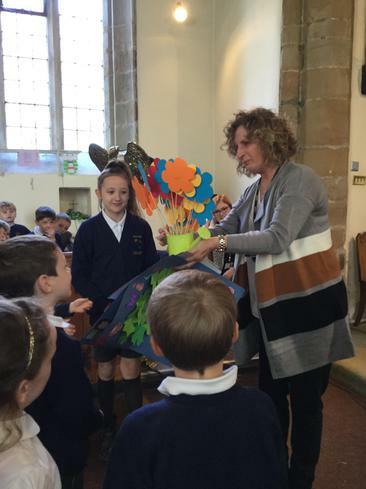 Mrs Palmer has given the children of Sharnford a great many years of devoted care, love and attention and we were all sad to see her go!